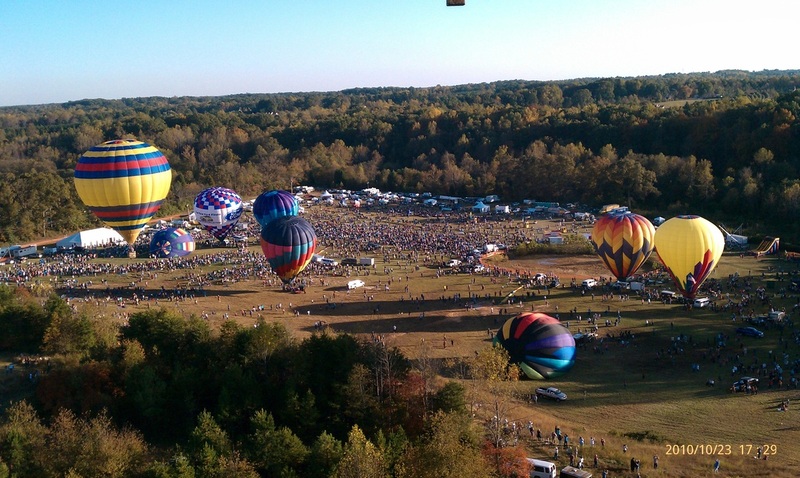 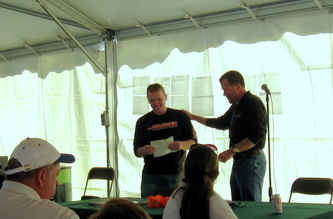 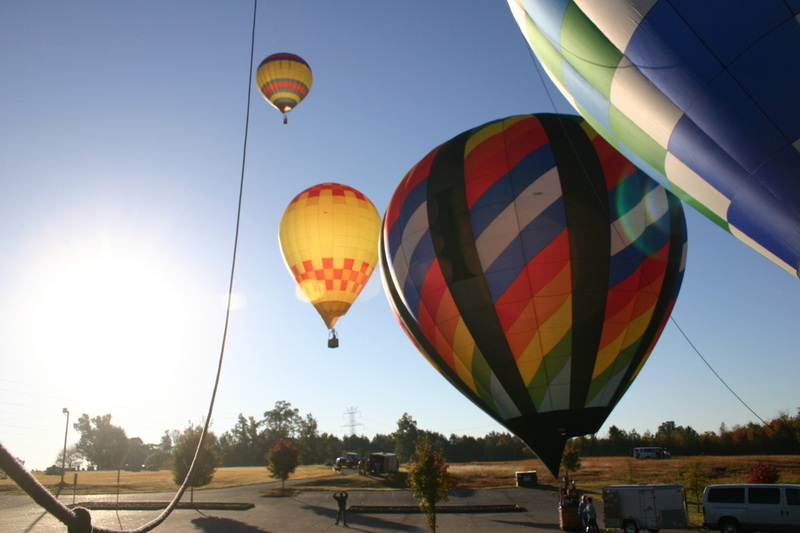 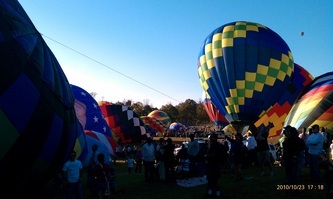 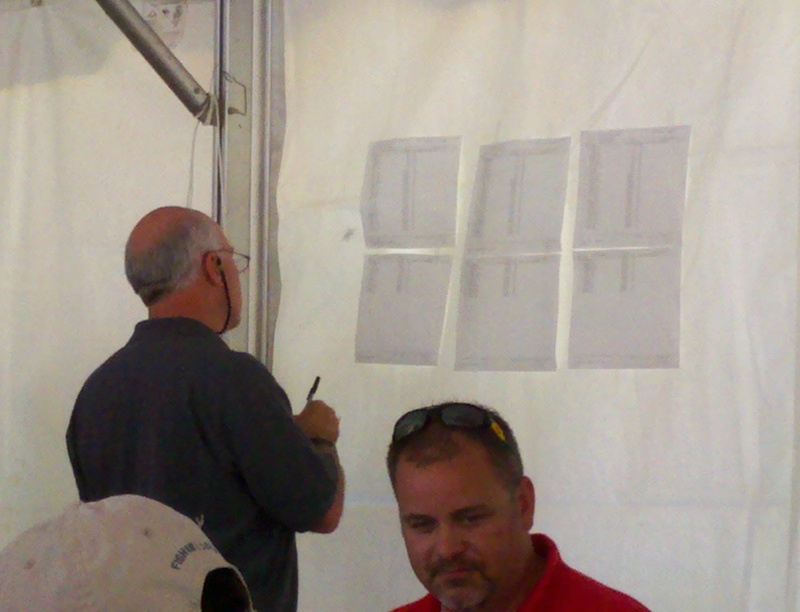 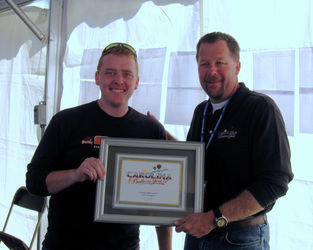 Event director Scott McClinton called a three part task Saturday morning in Statesville, NC. 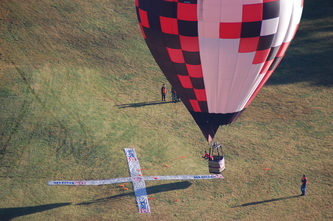 A Fly In Task and a Gordon Bennett Memorial was placed at the field, and a hare balloon took off from the field for competitors to chase. Pilots drove all over the countryside as the winds shifted as the sun rose. Once aiborne, pilots found a hard right hand turn at altitude, a slight left at the mid altitudes and a slow right hand turn on the deck. 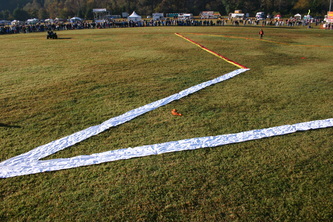 The field is located in the bottom of a small hill which can lead to some unpredictable winds on approach. 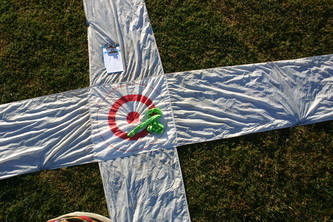 Several pilots scored at this target, including a few very close scores. 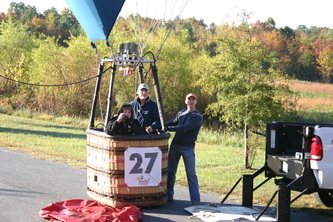 Pictured left is pilot Henry Rosenbaum pong'n the FIN. 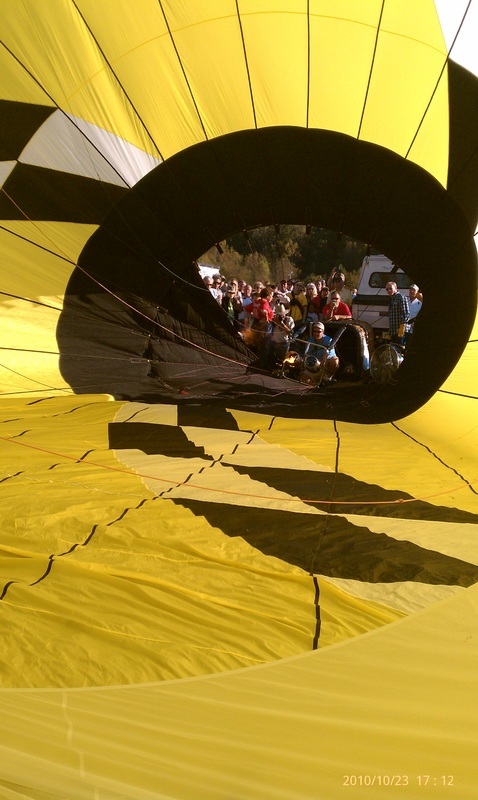 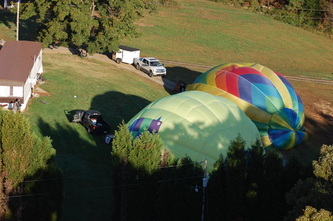 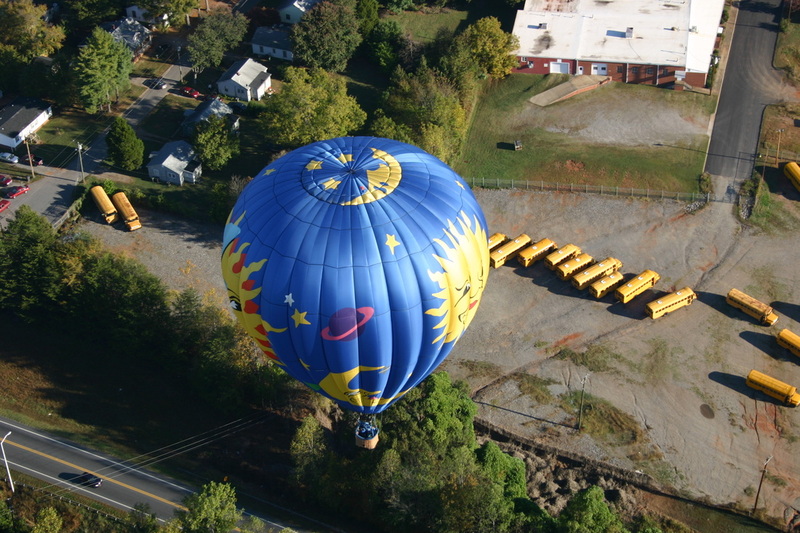 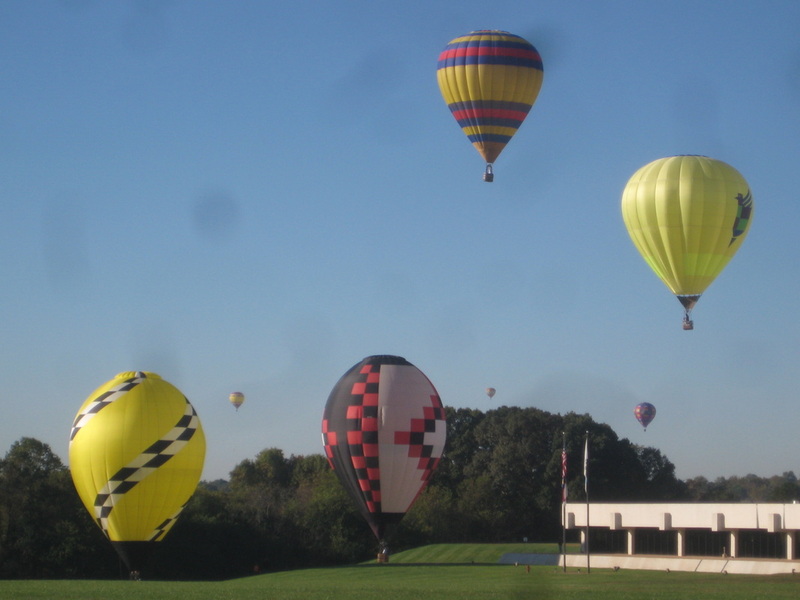 Travis Vencel in the hare balloon, flew across town and landed in an industrial park. 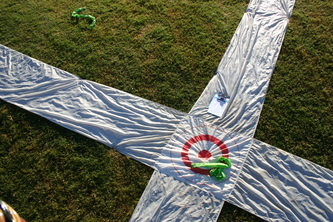 There were many close scores at this target as those that missed the field to the right found themselves on a good line to the hare. 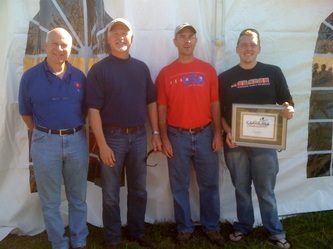 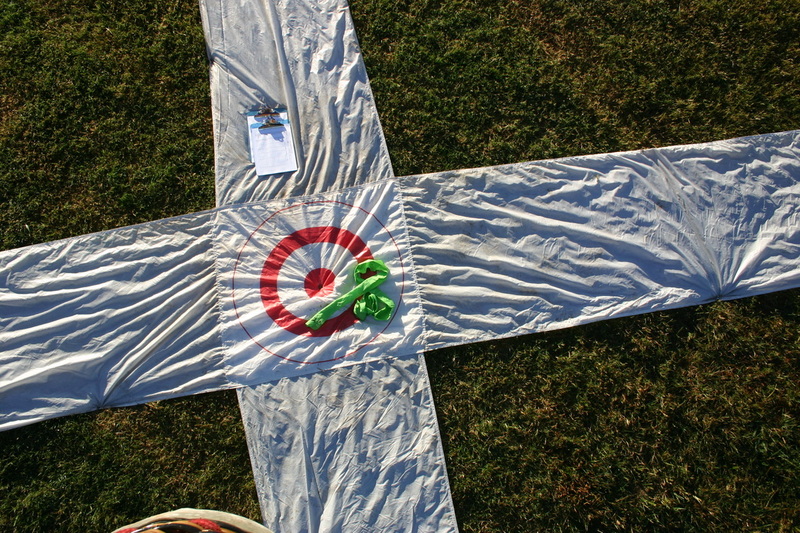 Only a few pilots achieved scores on all three targets, but several were very close. "I would have scored on all three had the building not been in the way." 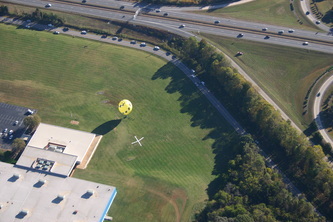 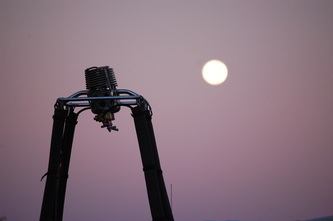 Pilot Ken Draughn said of his throw on the hare balloon. 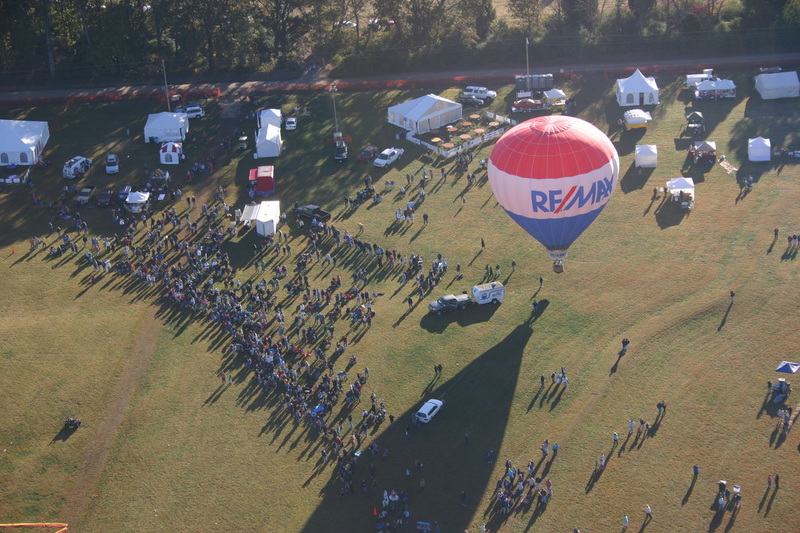 Competition continues tonight with a mass launch from the main field in front of a large crowd. After deciding not to make the Saturday evening hare and hound flight part of the overall championship, Event Director Scott McClinton called a two part task to conclude the event Sunday morning. 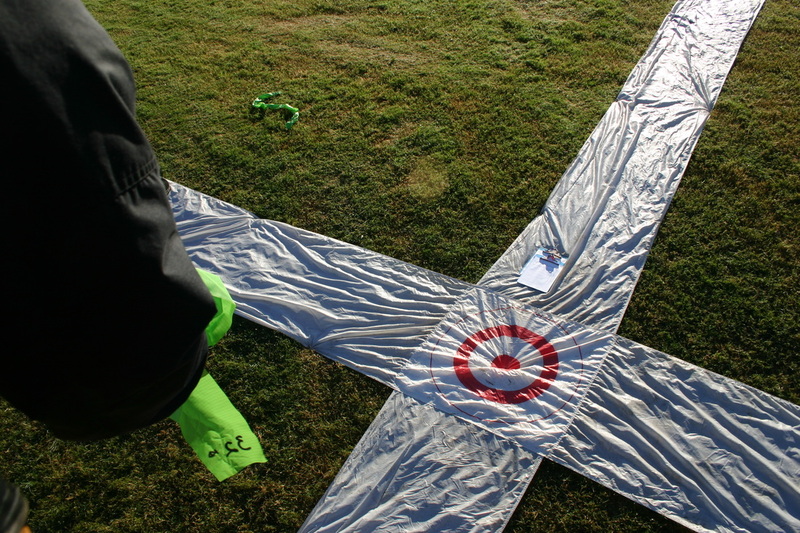 The first task was a Multiple Judge Declared Goal placed on the main launch field. 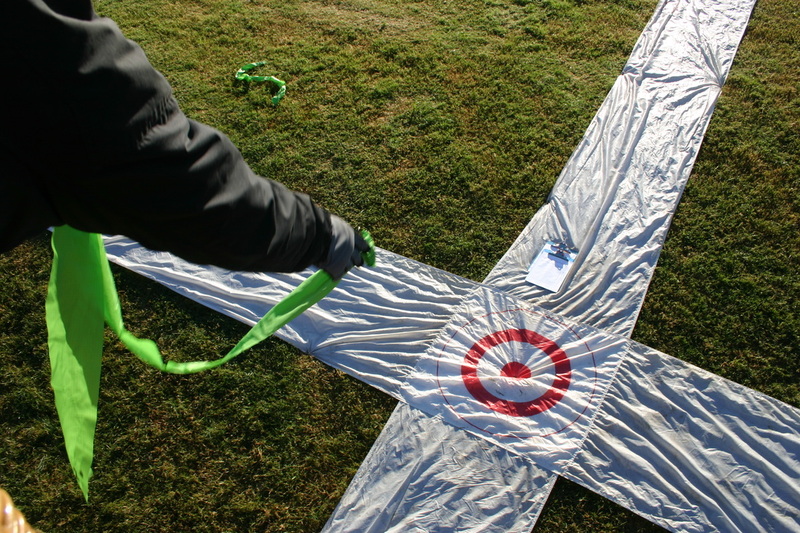 For this task, two target options were placed on either side of launch area giving pilots two choices to get a score. Baggies were measured to the closer of the two X's. The second task was a Judge Declared Goal located east of the airport. 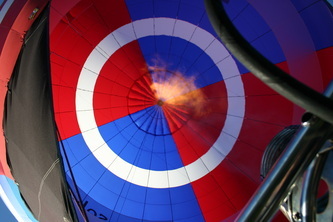 Pilots found about 20 degrees of steering in the early pibals with some significant speeds at just a few hundred feet. 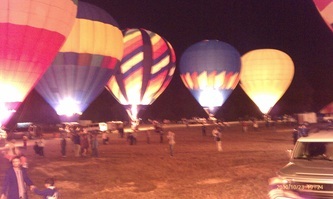 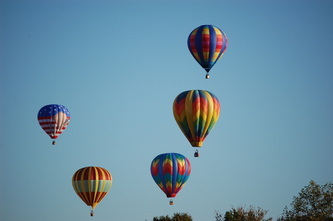 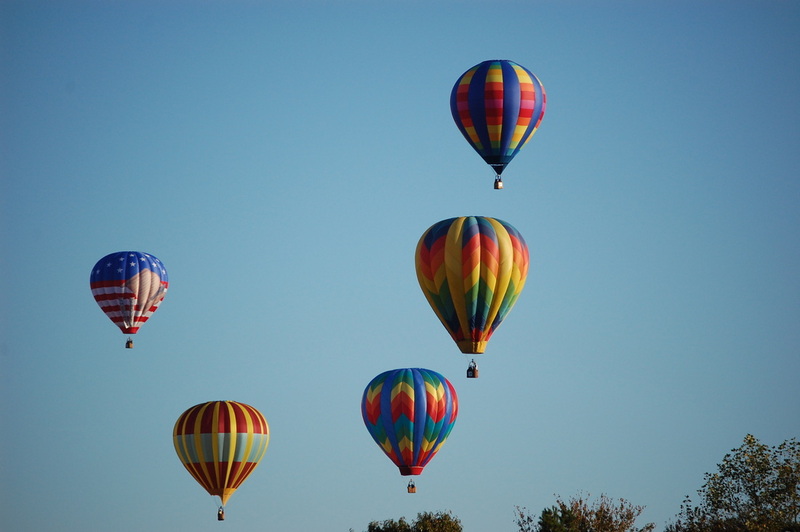 Most balloons launched in the same area south of the airport sharing small yards and roads for inflation. It didn't take long to get to to the airport in the 20+ knot winds just above the surface. 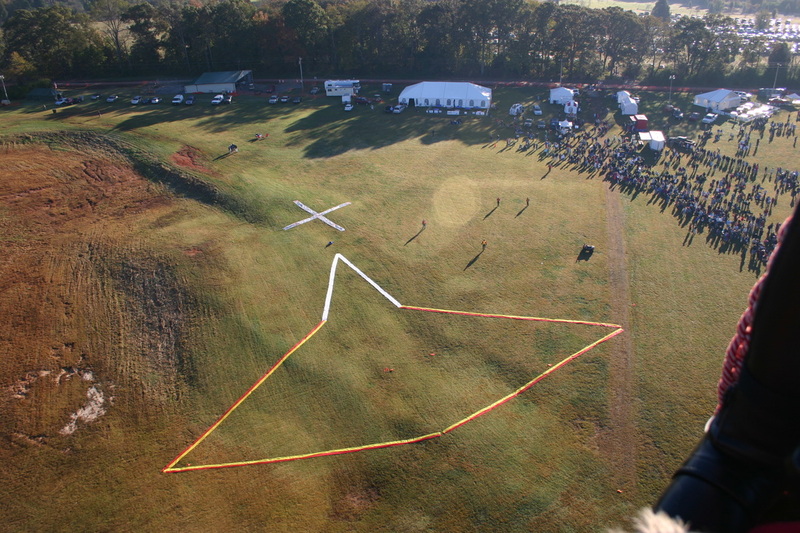 Over 30 pilots scored at the targets on the field with about a third of those being inside the legs of one of the X's. From the field balloons had climb fast to try to get a right turn that would take them to the second task of the morning. 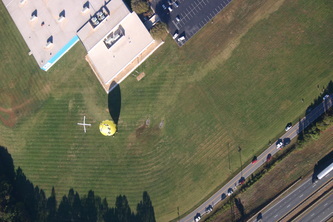 Only one pilot was able to make it over to the second target and achieve a score. In the end, Joe Zvada was able to hold onto a lead he built on Saturday and held off a hard charging Nick Donner for the win. 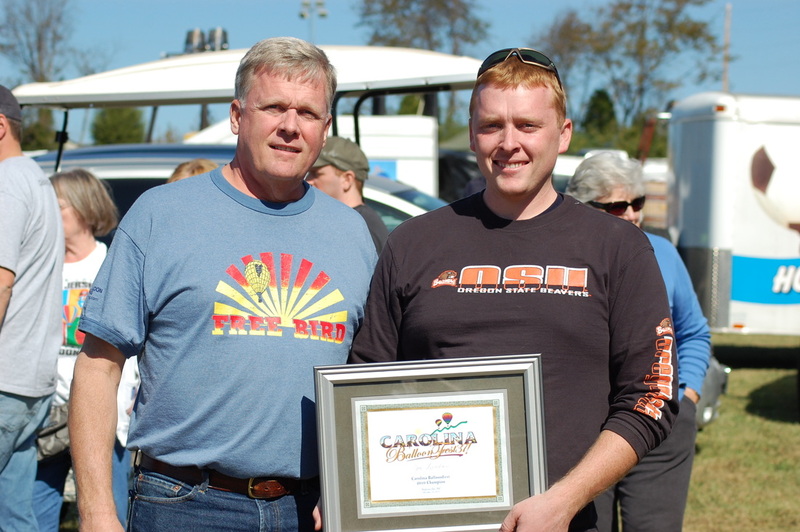 This is Zvada's second win in Statesville, having previously won in 2007, and it's his second win of the 2010 season. 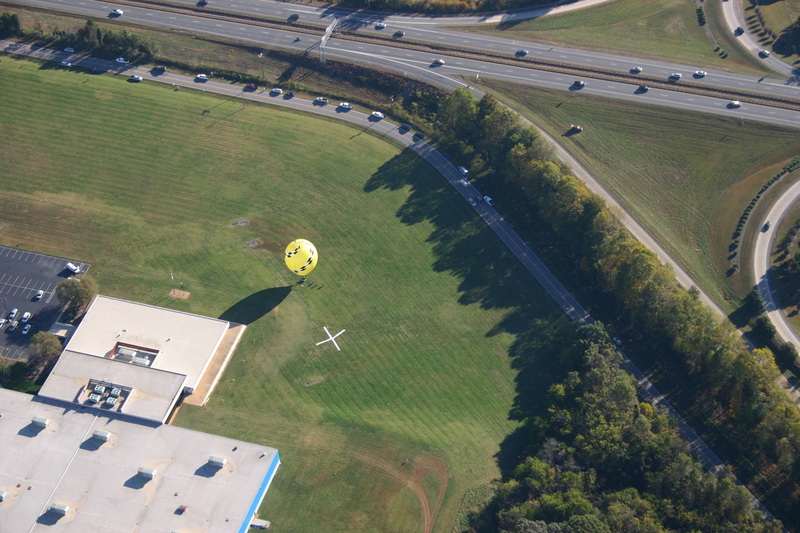 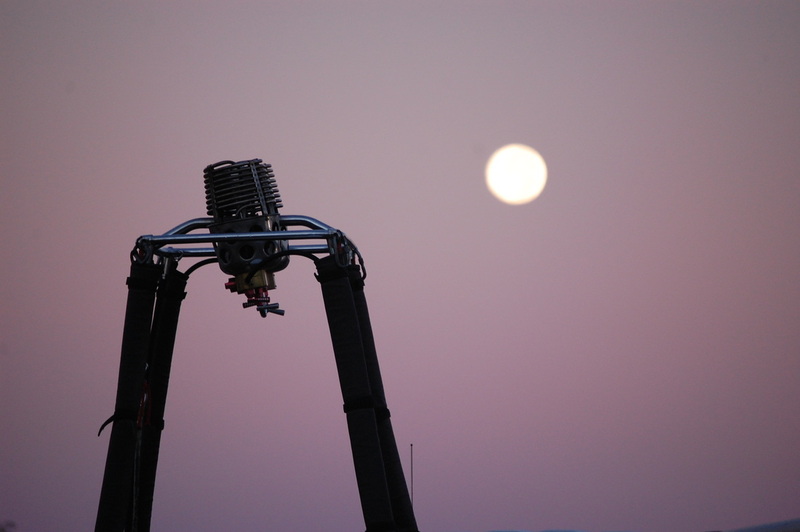 This was Zvada's final competition flight in his Free Bird balloon as he is retiring it at the end of this season. 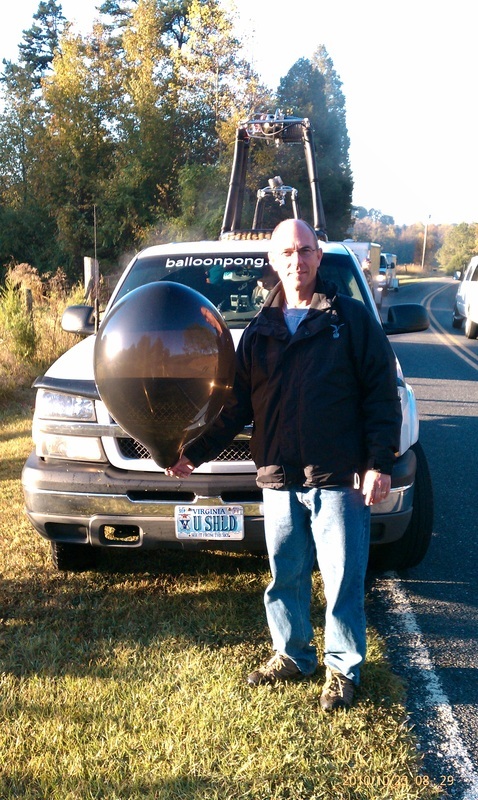 "It feels really good to retire the balloon with a win," said Zvada "It's also very special to have my dad crewing with me this weekend to help close the book on the balloon, he's been there since the beginning." 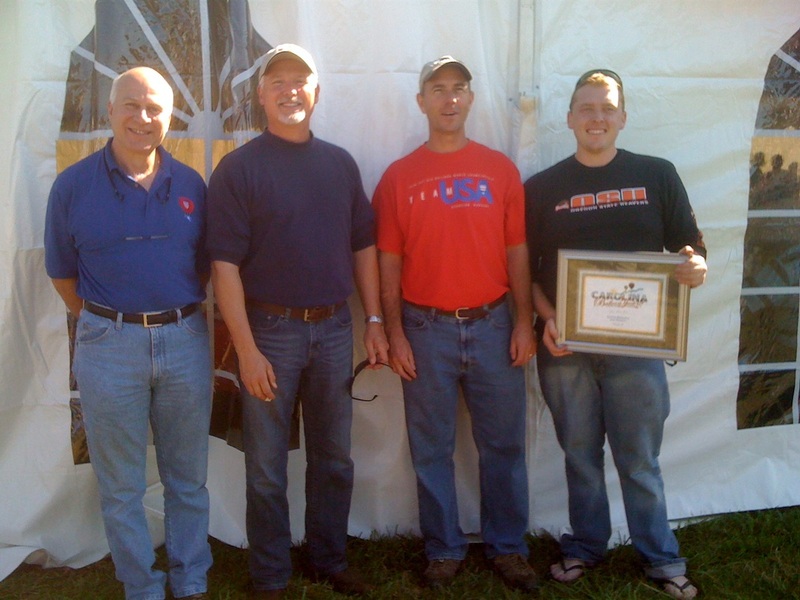 Current National Champion Nick Donner finished in second, Henry Rosenbaum finished in third, Sam Parks finished in forth, and Ken "Move that Building" Draughn finished in fifth. Congrats to all! Keep checking back for more pictures and video throughout the day and tormorrow.